← Richard Armitage Press and Premiere Tour Begins! 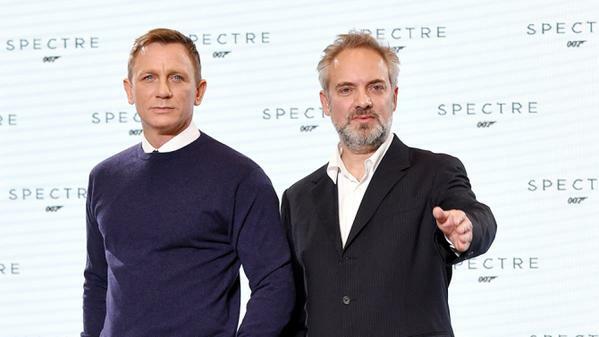 Live from the 007 Stage at Pinewood Studios in London, director Sam Mendes announced that Bond24 will be titled, “Spectre,” and starring in the film will be Christoph Waltz, Monica Bellucci and Lea Seydoux. Daniel Craig will be returning for his fourth Bond movie along with Ralph Fiennes as M, Naomie Harris as Eve Moneypenny, Rory Kinnear as Bill Tanner and Ben Whishaw as Q. New cast members Waltz will play Oberhauser, Bellucci as Lucia Sciarra, Seydoux as Madeleine Swann, Dave Bautista (“Guardians of the Galaxy”) as Mr. Hinx, and….wait for it, wait for it: none other than Sherlock’s Moriarty, Andrew Scott as Denbigh! Oh honey, I can’t wait to see Andrew in this! 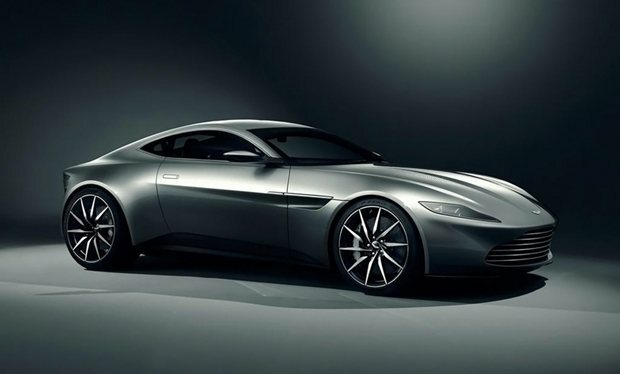 And how about Bond driving around in his new fancy Aston Martin DB10? Check out his new wheels…. 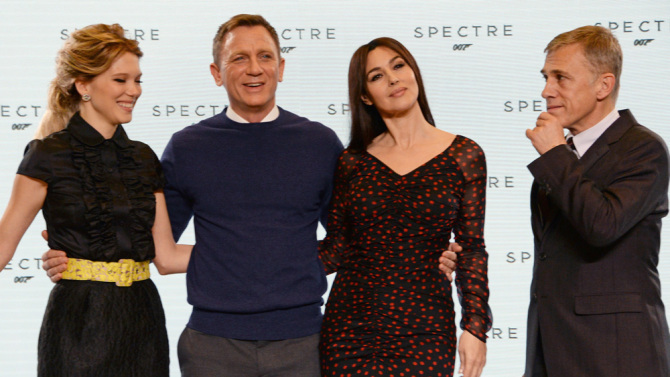 The new film will follow Bond on the hunt to uncover an evil organization called Spectre after receiving a message from his past. The film begins principal photography next week and will be shot at Pinewood along with several exotic locations such as Rome, Tangier, Morocco, Mexico, Sölden, Obertilliach and Lake Altaussee in Austria! That’s going to make for some gorgeous cinematography! Bond producers Michael G. Wilson and Barbara Broccoli for Eon Prods., and reps from MGM Studios and Sony Pictures Entertainment were also on hand for the announcement. The screenplay was written by John Logan, Neal Purvis and Robert Wade. The film is set for a November 2015 release. That’s a pretty quick turn around if you ask me. Lady Anglophile….ready to be BondGirl25! This entry was posted in Lady Anglophile Reviews & Other Bits and Bobs and tagged James Bond. Bookmark the permalink.